I partnered with Tide to create this post. 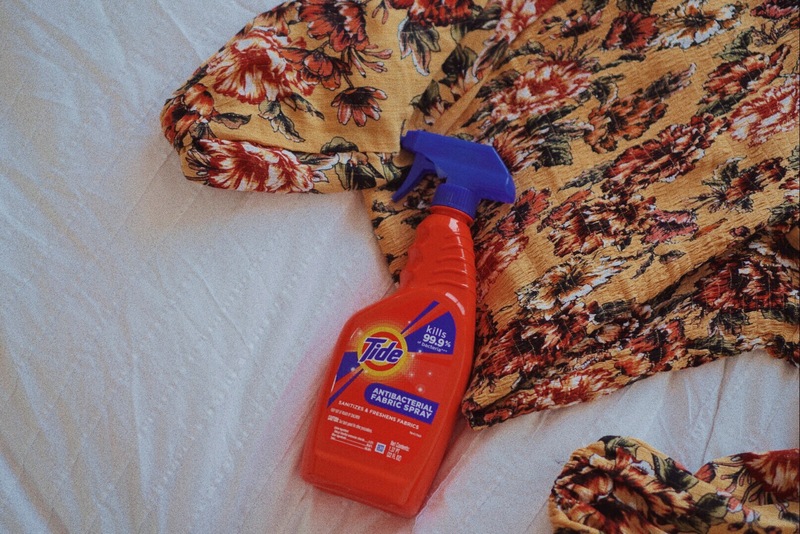 Hey guys, I am so excited to share with you the newest addition to my wardrobe arsenal: Tide Antibacterial Fabric Spray, created by the brand who understands how to clean and protect fabrics most! 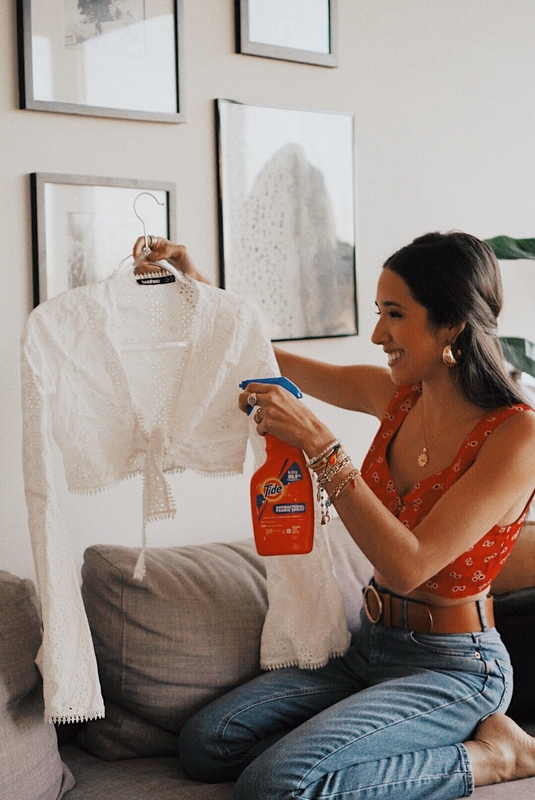 As you may know, I’m sometimes hesitant to wash some of my more delicate and beloved pieces often – but Tide Antibacterial Fabric Spray kills 99.9% of bacteria on tough-to-clean fabrics and clothes, like my super delicate white shirt, so I can freshen them between washes for peace of mind. 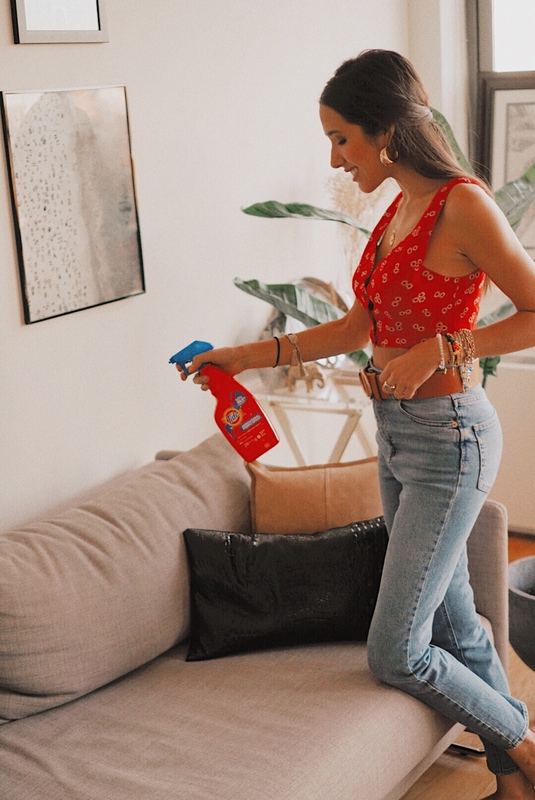 It’s super convenient, fast-acting and easy to use: just spray on the fabric or clothing and let sit for 5 minutes, with no need to wipe or wash away. 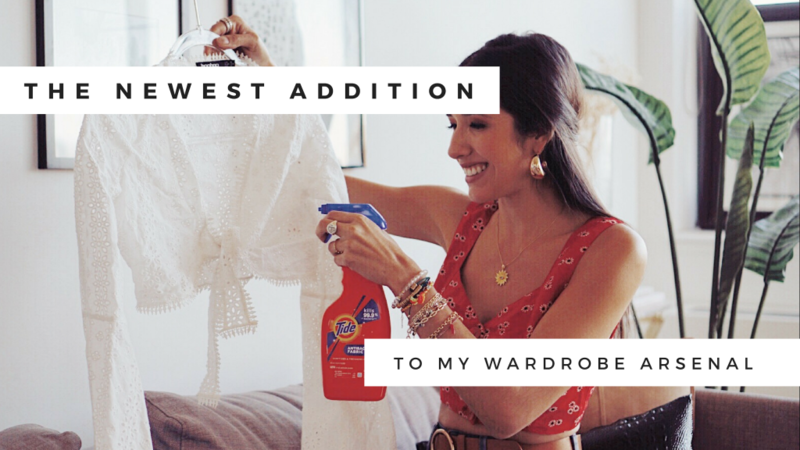 And since it gets rid of gross bacteria AND keeps fabrics smelling fresh, it’s perfect for every fashionista’s wardrobe and even fabrics around the house, like pillows, bedding, couches and rugs. For every fashionista out there, try it for yourself with this exclusive $2 off coupon.